I’m not very fit. Should I do something to improve my fitness before I join? These classes are for complete beginners. Most people who join aren’t very fit and many haven’t done any exercise for years. Through Taekwon-Do your fitness will easily improve while you’re learning many valuable skills. Whether you are already fit, or consider yourself a real couch potato, the training is carefully geared towards progressive fitness. Again, this is something that is improved through the classes, using safe, gentle methods. You don’t need to be able to do the splits to be good at Taekwon-Do, but if you want to, we can show you how! I want to join, but I don’t know what to expect. We’ve all been in this position when we were beginners. Will I have to do hundreds of press-ups? Will I get shouted at if I do something wrong? Will everyone else be really good? Well, the answer to all of those is NO. All beginners are treated as such, and you won’t be alone. All your instructors want to see is a bit of enthusiasm. You’ll see yourself progress and make friends quickly. Just some loose clothes, such as jogging bottoms and a T-shirt. Your instructors are highly trained in how to instruct effectively and safely. All possible precautions are taken to ensure your safety while you train. Sparring is done wearing safety gear, classes are highly disciplined and all students and instructors are insured through the British Taekwon-Do Council. Your instructors are also trained in First Aid in case any accidents do happen, and for your peace of mind, hold enhanced CRB disclosures. What sort of people train in Taekwon-Do? People of all ages, both sexes and all body shapes and sizes come to Taekwon-Do, because its all about getting the best out of YOU, whatever you are like. Well, that’s quite hard to answer, because everyone trains for their own reasons. Some to get fit, or for self-defence; others for more confidence or because they want to train for tournaments. Whatever you come for, you’ll find yourself and your children learning extra skills and developing in many ways you didn’t expect. Finally, if there are any questions we haven’t covered here, come and ask anyone who trains, or come along to a class. You’ll be glad you did! If you wish more information on Taekwon-Do Bellshill, ScotiaTKD or TKD-UK please use the form bellow and a member of the instructor team will get back to you. 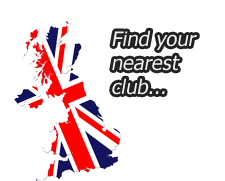 then you can find your nearest Taekwon-D0 UK School by using the link to the left.